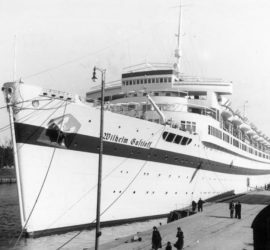 1938 – 1945 / Sprung from the Nazi scheme ‘Kraft durch Freude’, the Wilhelm Gustloff was built to offer German workers affordable cruises, keeping them happy and productive. 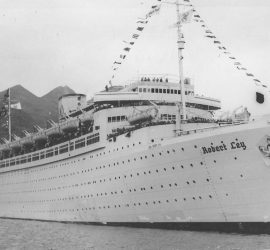 Sadly, the ship’s name is today linked with tragedy, as she was sunk with enormous loss of life in the final days of World War II. 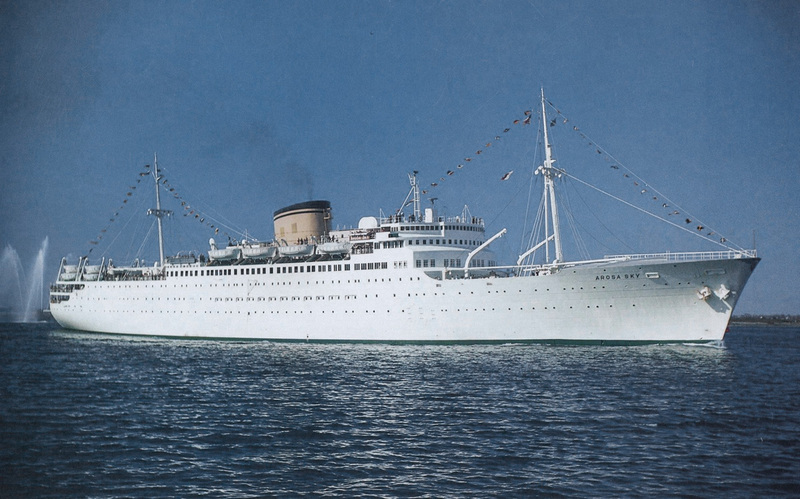 1938 – 1974 / Although heralded as ‘The Ship of Peace’, the lovely Nieuw Amsterdam would go on to serve as a troop transport in World War II. 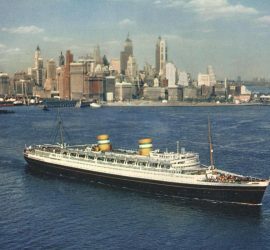 After the war, she went back to civilian service, and enjoyed a long and prosperous career with the Holland-America Line. 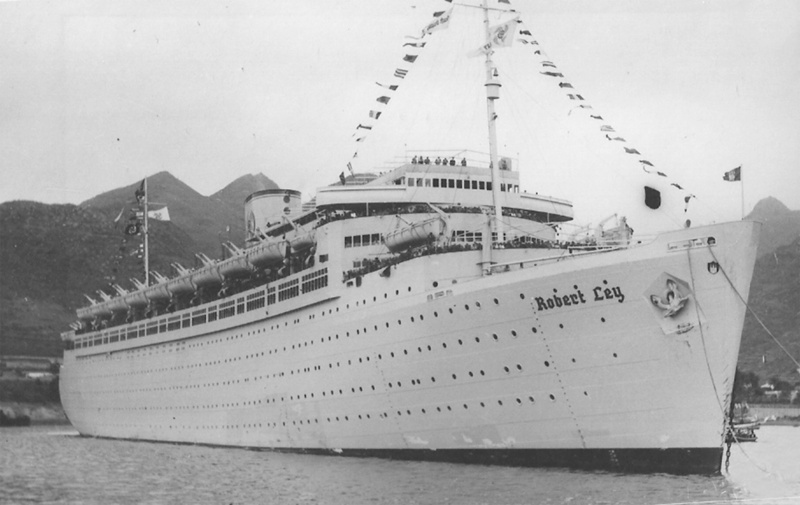 1939 – 1947 / Another ship of the ‘Kraft durch Freude’ project, the Robert Ley did not see much use as a cruise ship before World War II broke out. 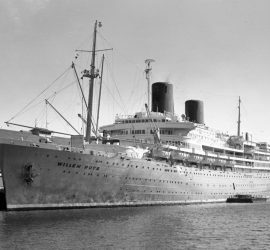 Utilised mainly as an accommodation ship, she was bombed in the port of Hamburg in the spring of 1945 and sent for demolition once the war was over. 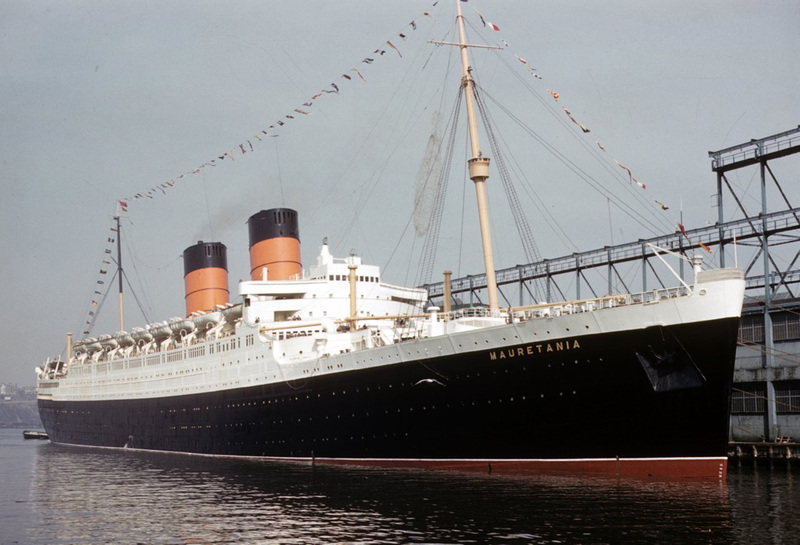 1939 – 1965 / Part of a new breed of Cunarders, the second Mauretania saw just a few months of service before being called up for use as a troop transport. 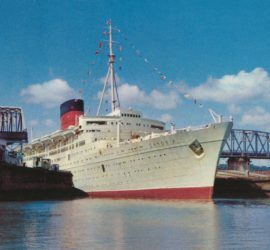 After the war, she had a prosperous career doing crossings and cruises, but was eventually sold for scrap when passengers abandoned liners in favour of air travel. 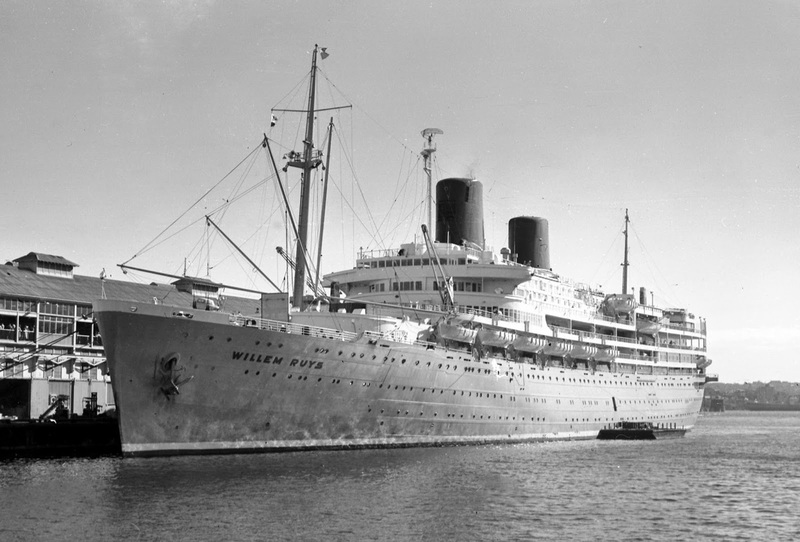 1940 – 1973 / Queen Elizabeth did not see passenger service until after World War II, during which she provided invaluable service as a troop transport. 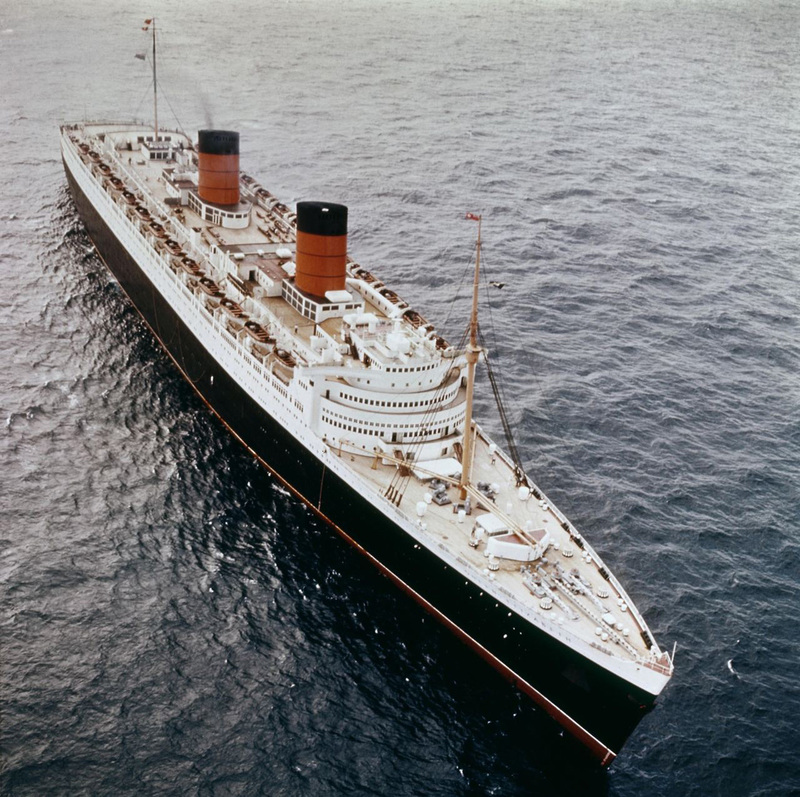 In peacetime, ‘Lizzie’ ran in tandem with Mary, earning Cunard a fortune. 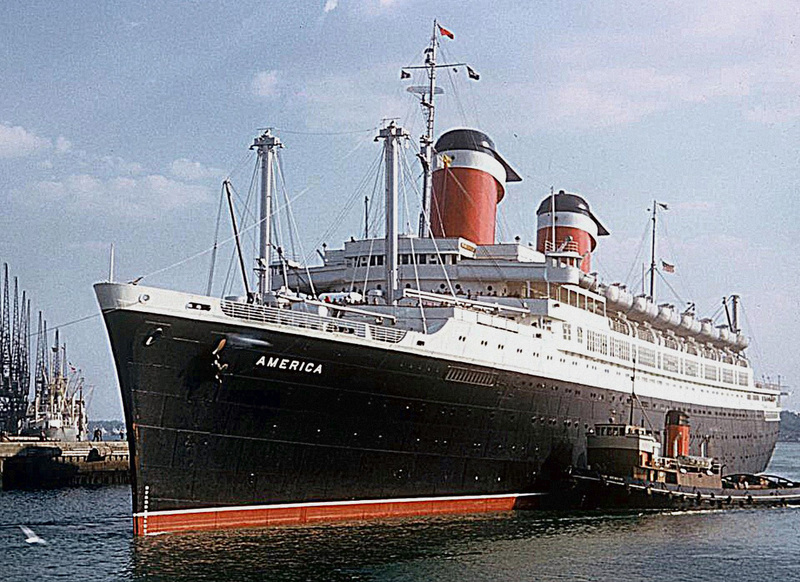 Sadly, her life came to an end in 1973 when she was destroyed by fire in Hong Kong harbour. 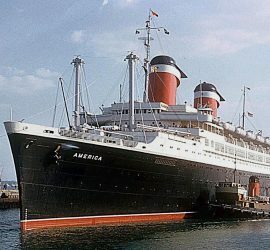 1940 – 1994 / Also known as Australis, Italis, Noga, Alferdoss, and American Star / The greatest American-built ship of her time, the America was the pride of the US merchant fleet and had a long career under various flags. She is perhaps best known for her tragic demise; grounded on the rocks of Fuerteventura, she was broken in half and slowly destroyed by the forces of nature. 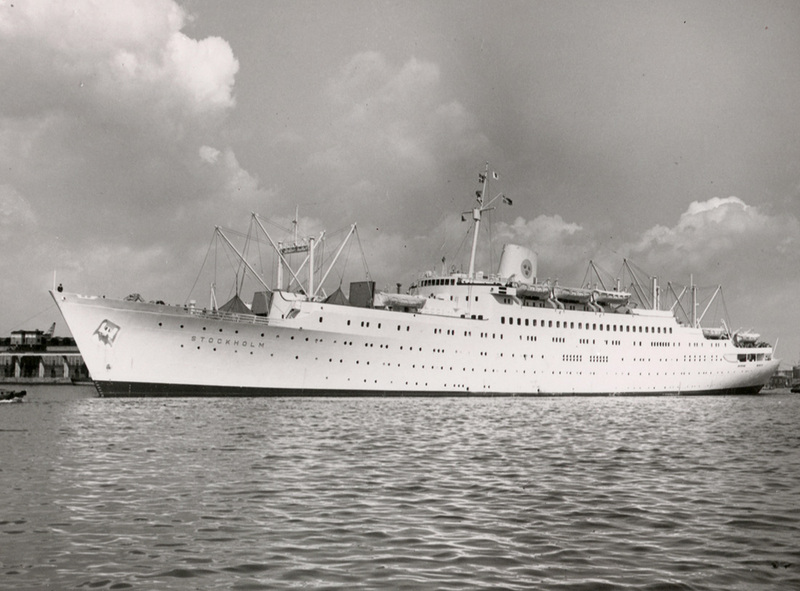 1947 – 1994 / Also known as Achille Lauro / An intermediate Dutch liner, the construction of the Willem Ruys was interrupted by the outbreak of World War II. 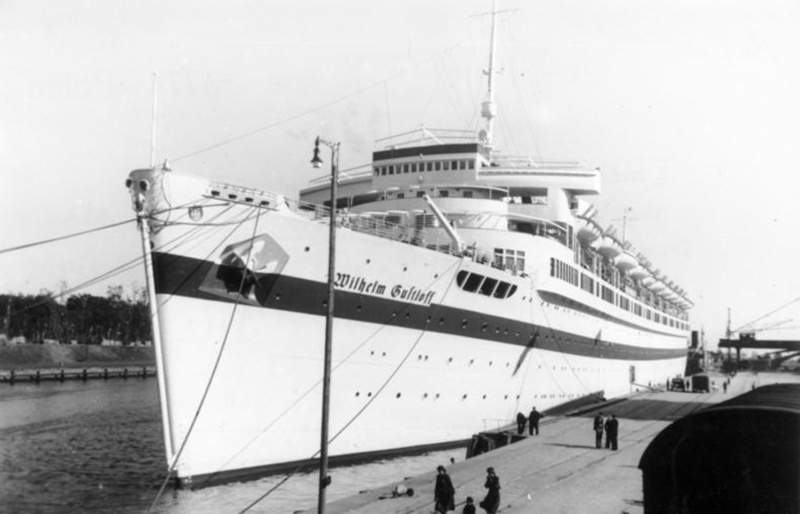 She entered commercial service after the war, and became most famous under the name Achille Lauro, when she was hijacked by Palestinian terrorists in 1985. 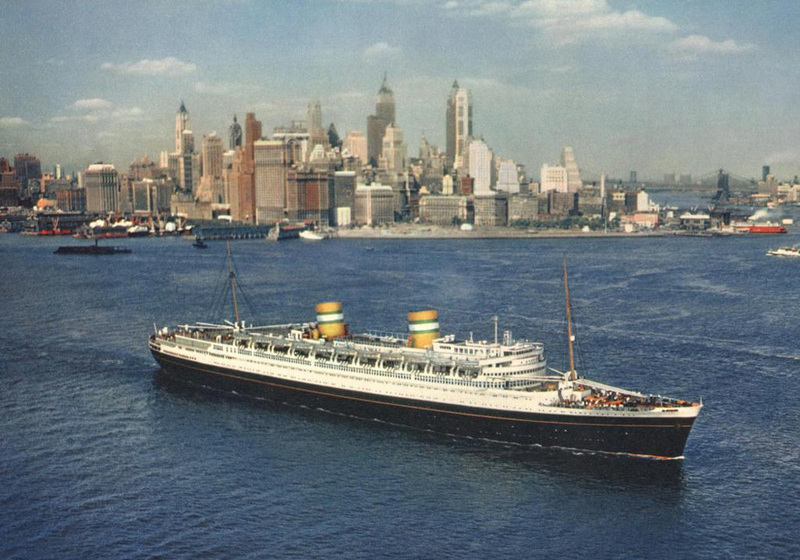 1948 – Present Day / Also known as Völkerfreundschaft, Volker, Italia, Italia Prima, Valtur Prima, Caribe, Athena, Azores, and Astoria / A smaller ship of the Swedish-American Line, the Stockholm became famous when she collided with and sank the Andrea Doria in 1956. 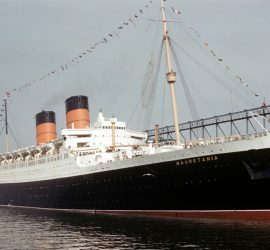 The ship survived and would have a long career and remarkably, she is still in service today, although heavily rebuilt and virtually unrecognisable. 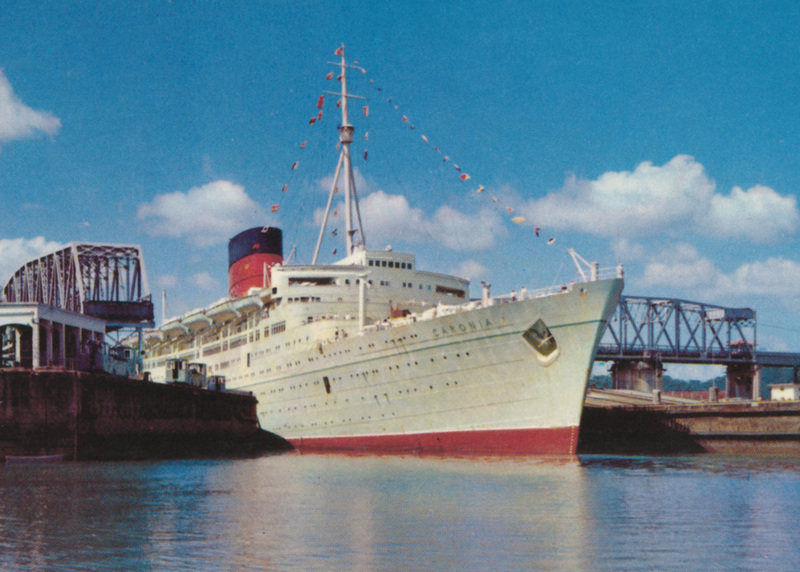 1949 – 1974 / Also known as Columbia and Caribia / Purpose-built for leisure voyages, Cunard’s ‘Green Goddess’ Caronia was unique in every sense of the word. 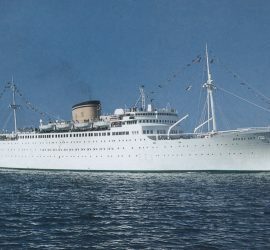 Offering an exclusive experience, she was a sign of the times that passenger shipping was transitioning from crossings to cruises. 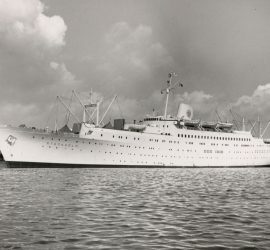 1949 – 1961 / Also known as Maréchal Pétain, Arosa Sky, and Bianca C / Built for the route connecting France to Southeast Asia, the changing political climate soon led to her sale and transfer to other flags. 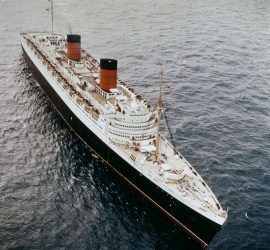 She burned and sank in the waters off Grenada in 1961, and today, her wreck is known as the ‘Titanic of the Caribbean’.